Bar and Kitchen There are 31 products. 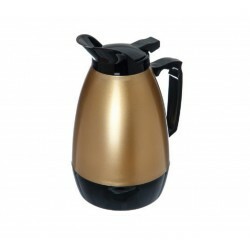 A touch of gold-plated accent on the top cover and side handle add to its elegance. It's perfect for any occasion, such as weddings, parties, brunches, hotel breakfast areas, banquets, catering events and self-service environments. 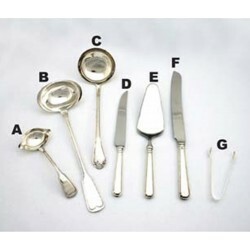 Serving utensils are important elements of any successful event. 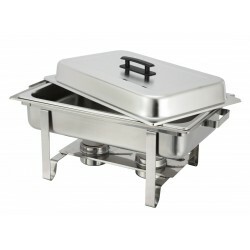 Ideal for weddings, parties, brunches, breakfasts, banquets, catering events, and self-service environments. 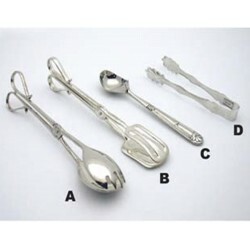 Selection: A: Salad Tongs 10" B: Pastry Tongs 10" C: Ice Cream Scoop 8" D: Ice Tongs 8" Choose your desired item and confirm your rental period. Serving Ladles are important elements of any successful event. Ideal for weddings, parties, brunches, breakfasts, banquets, catering events, and self-service environments. Selection: A: Large Ladle 4 oz. 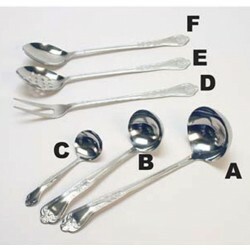 B: Medium Ladle 2 oz. C: Small Ladle 1 oz. Choose your desired item and confirm your rental period. 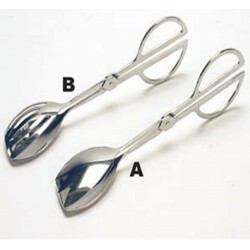 Stainless Steel Tongs s are important elements of any successful event. Ideal for weddings, parties, brunches, breakfasts, banquets, catering events, and self-service environments. Selection: A: Stainless Steel Salad Tong 10" B: Stainless Steel Pastry Tong 10" Choose your desired item and confirm your rental period. This industrial Stainless Coffee Maker is easy to operate and allows you to make up to 100 cups of coffee at once. Great for meetings or large events. Selection: A: 25-Cup Stainless Coffee Makers B: 50-Cup Stainless Coffee Makers C: 100-Cup Stainless Coffee Makers Choose your desired item and confirm your rental period. 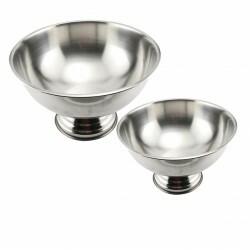 This beautiful stainless steel punch bowl will be the focal point of your display. Perfect for weddings or other upscale events. Selection: A: Stainless Steel Punch Bowl (3-Gallon) B: Stainless Steel Punch Bowl (5-Gallon) Choose your desired item and confirm your rental period. 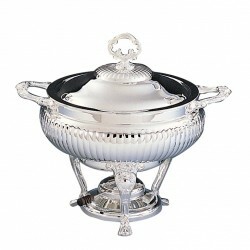 This beautiful silver punch bowl will be the focal point of your display. Perfect for weddings or other upscale events. 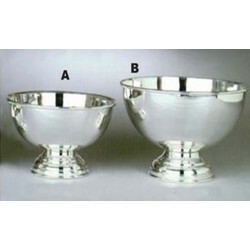 Selection: A: Silver Punch Bowl (3-Gallon) B: Silver Punch Bowl (5-Gallon) Choose your desired item and confirm your rental period. 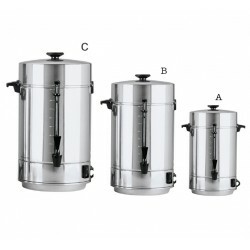 This beautiful Coffee Urn is a fantastic center piece in your social event. Great for meetings or upscale social events. 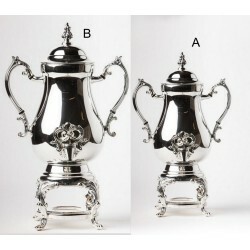 Selection: A: 25-Cup Silver Plated Coffee Urn B: 50-Cup Silver Plated Coffee Urn Choose your desired item and confirm your rental period. 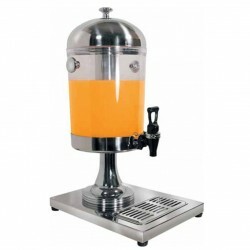 The 2 Gallon Beverage Dispenser Rental is great for drink stations. Ideal for weddings, parties, brunches, breakfasts, banquets, catering events, and self-service environments. Please confirm your rental period, before you check out. This traditional, 20 ounce insulated beverage / coffee server features a wide mouth and thumb control tops for easy usage. Ideal for weddings, parties, brunches, breakfasts, banquets, catering events, and self-service environments. Capacity: 20 OZ. (0.6 LITER)Color: BLACK TRIM - BRUSHED GOLD BODY Please confirm your rental period before your check out.